We are very pleased to announce that our organizations have merged! 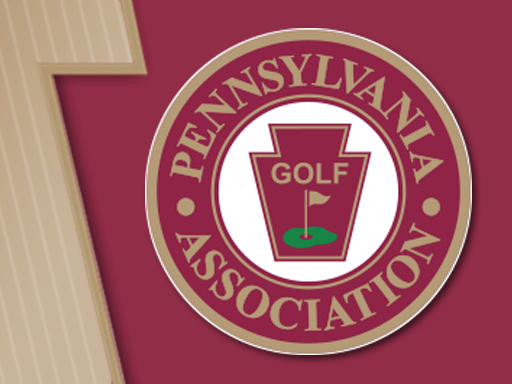 We will continue to be known as the Pennsylvania Golf Association – a name that is now truly appropriate for an organization that serves all golfers in Pennsylvania. This is a full merger of equal partners. The Pennsylvania State Women’s Golf Association has a core group of golfers committed to all that is great about our game: serious competition, adherence to the Rules of Golf, continuous improvement and above all else the fellowship that only the great game of golf can provide. The organizations jointly hosted the state Junior Championship for the last six years and merging was the next logical step. Both organizations will benefit greatly. We will be offering enhanced competitions for women golfers throughout our state. We have always taken pride in conducting each event with excellence. We focus on every aspect of tournament administration – from site selection and set up to the entry process to starters, rules officials and volunteers. When you compete in a Pennsylvania Golf Association championship, you know that you are testing your game in an environment that is on par with the finest championships anywhere. In 2019, our professional staff will conduct 15 championships throughout the state. Our championship committee is exploring additional events, as requested by our players. Look for our updated website soon. We have a terrific lineup of events at many wonderful venues. We are here for all golfers in Pennsylvania, whether young or old, male or female and whether from private clubs or public facilities. Our aim is to make golf in Pennsylvania better by conducting first rate championships for all golfers. We wish to thank our Statewide Title Partner LECOM - the Lake Erie College of Osteopathic Medicine. It continues to be a loyal and generous supporter of the Pennsylvania Golf Association. In addition, we would like to thank UPMC Pinnacle for its support of the Junior Championship at Hershey and other Central PA events. We also wish to thank you for your interest in the Pennsylvania Golf Association. To make this historic merger truly successful, we need you – to participate, to volunteer and to continue to show an interest in our Association. We appreciate your participation and interest. Look for more information as we go forward. Follow us on the web at www.pagolf.org, or on Facebook and Twitter @PA_Golf.